The falls are located in Buikwe district,off the Kampala-Jinja highway at Kayanja trading centre.It is 32 km east of the Ugandan Capital Kampala about an hour’s drive. It is a legendary Buganda Kingdom Cultural site. It is a sacred place for traditional believers, who believe that if they visited this spot and performed their rituals, their problems will be solved especially those who want to give birth to twins. The traditionalists say they get solutions to their problems after the lapse of nine months thereafter one is expected to come back and give thanks. 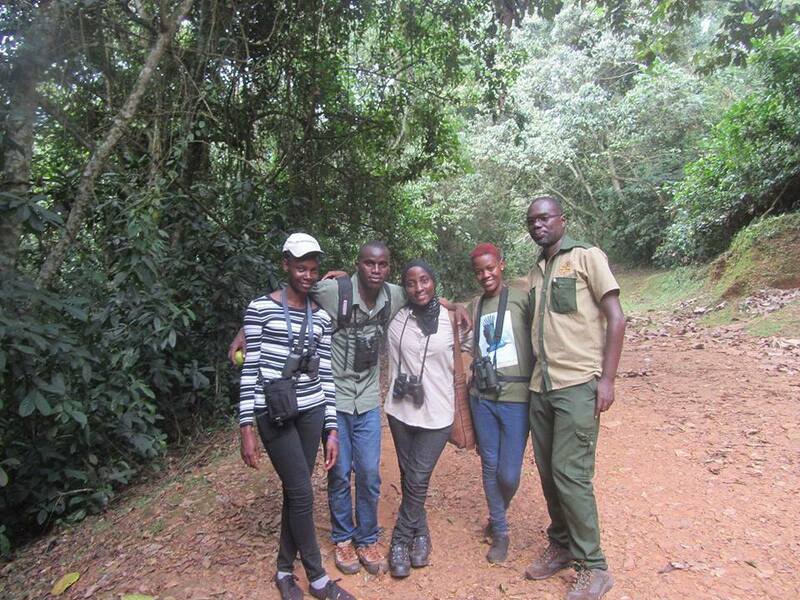 Site Guide Tenywa, tells us that Sezibwa river flow was able to overcome rock obstacles along its path thus the name. It’s ability to overcome these obstacles impressed the natives at the time leading to a local phrase “Sizibwa Kkubo” meaning “nothing can stop me along my path”. 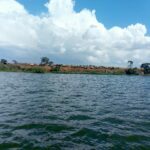 The river flows through 5 districts namely Buikwe, Mukono, Kayunga, Luwero and Nakasongola and finally into Lake Kyoga. 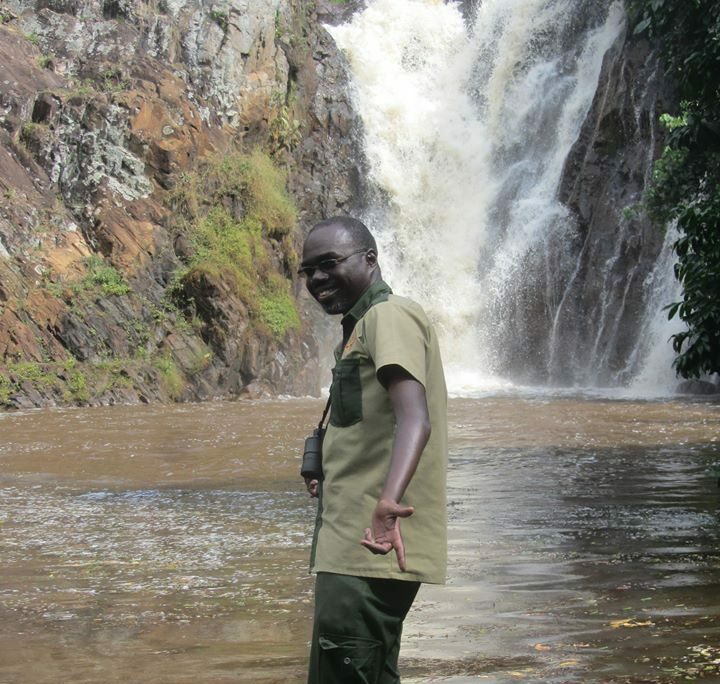 Our guide Tenywa also tells us that there is an interesting legendary tale about the river associated with the falls . 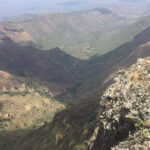 The source of this falls is a result one of the two tributaries namely Sezibwa. 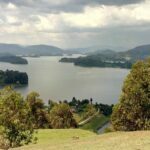 The two tributary formations, Sezibwa and Bwanda are locally known as Wasswa and Kato. The Baganda a tribe that lives in the area names boy twins Wasswa and Kato and Wasswa is usually the first born. 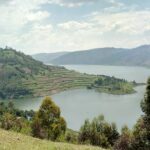 Therefore River Sezibwa and twin Bwanda is believed to have been born by a barren woman who visited a traditional medicine man, who blessed her with twins in the 17th century. Buff-spotted Woodpecker,Northern Crombec,African Grey Parrot,Compact Weaver,Northern black Flycatcher,Diederik Cuckoo,Black Bishop,Western Yellow Wagtail,Dusky-blue Flycatcher,AfricanYellow Whiteeye,African blue Flycatcher,White chinned Prinia,Woodland Kingfisher,Crowned Hornbill,Eastern Plantain Eaters,Northern Grey headed Sparrow,Tambourine Dove,Lesser stripped Swallow,Hadada Ibis,Vieillot’s Black Weaver,Tawny Flanked Prinia,African Ground Thrush,Black and White Mannikin, Grey headed Nigrita,African PygmyKingfisher,African Paradise Flycatcher,Spectacled Weaver,Spotted Flycatcher,Yellow fronted Canary,Brown throated Wattle-eye,Fork tailed Drongo,Double toothed Barbet, Bronze Mannikin,Green throated Sunbird,African Golden breasted, Bunting Willow Warbler ,Speckled Tinkerbird,Scarlet chested Sunbird. 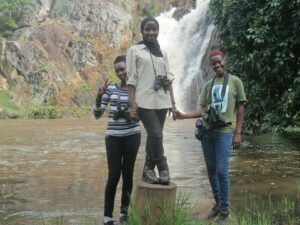 We finally saw the Shining Blue Kingfisher and elusive African Finfoot at the river side nature walk trail. For the African Fin Foot it took us a while to track it, almost one hour and half. Waited patiently with the guidance of the site guide until we heard its call then the search started again this time determined to see it. 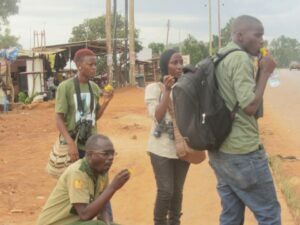 My birding colleagues celebrated rather quietly to avoid scaring the target. 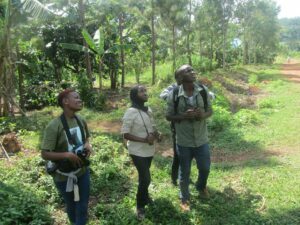 Other activities for nature lovers include bird watching, Nature walks, hiking to the top of the falls and picnic retreats. It was an exciting retreat for birding and we cannot wait for yet another birding excursion.Thanks to Birding birders team:Arshely Brian,Sylivia Akongo,Abia Atukwatse , Hamidah Nakato and Yakub Birungi. 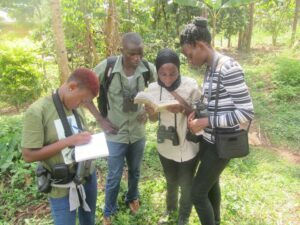 Other birding destinations in Uganda include;National Parks like Queen Elizabeth,Murchison Falls,Bwindi impenetrable,Lake Mburo and Mabamba marshland for the iconic Shoebill.